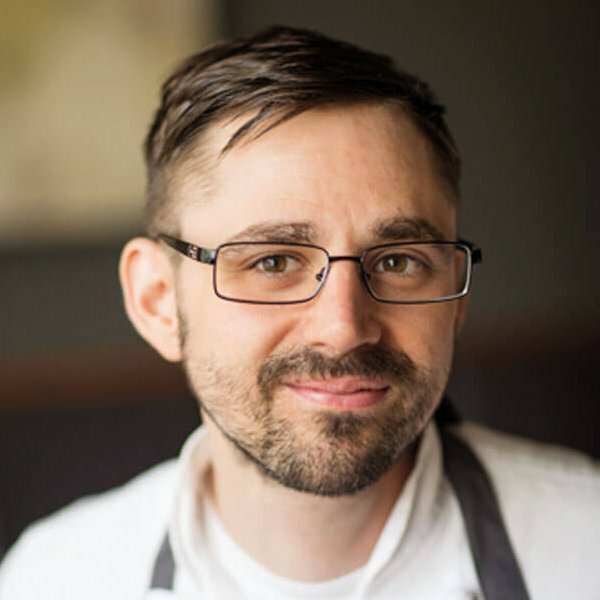 James Beard-honored chef Justin Woodward enjoys the challenge of evolving cuisine, using ancient and modern techniques to bring out the essential nature of house-grown, foraged and local ingredients. Woodward credits his family for his love and appreciation for food, from helping his father in the garden to learning from his grandmother in her kitchen. Nominated for the James Beard Foundation’s Rising Star Chef award in 2013 and Best Chef Northwest each year between 2015 and 2018, Woodward arrived at Castagna from New York’s WD-50, where he worked under Pastry Chef Alex Stupak. This experience, along with his time working at world-class restaurants such as Noma in Denmark and Mugaritz Restaurant in San Sebastian, Spain, has culminated in his current direction: cuisine that is seasonal and progressive, with a focus on surprising his guests with common and uncommon ingredients.